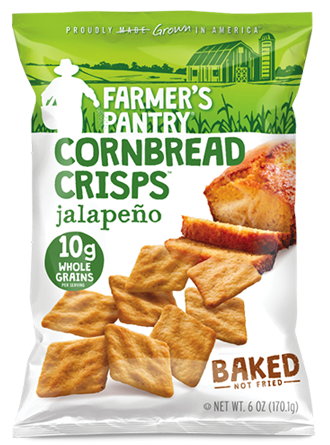 Hungry For Great Snacks? 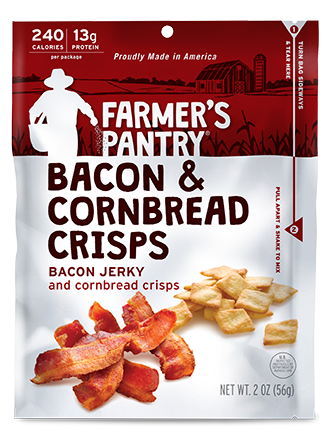 Farmer's Pantry For Hardworking Americans. We Americans are driven people. We push boundaries. Try new things. We work hard. We’re always hungry. 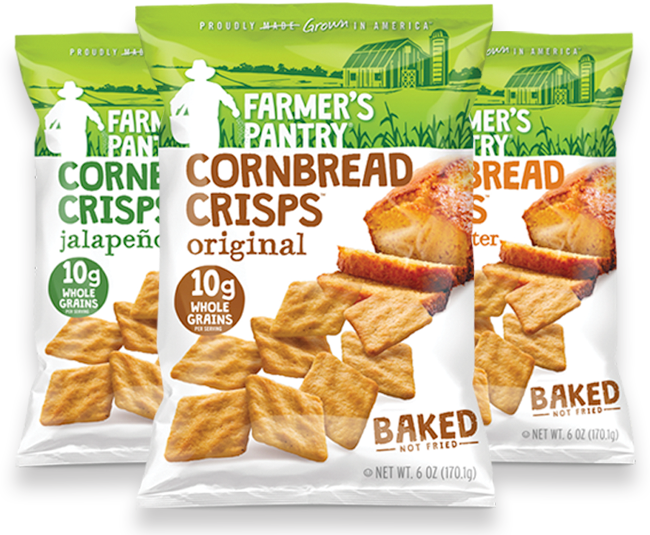 Farmer’s Pantry was founded to help feed that hunger. We know the more satisfied we are, we’re more likely to be our best self. Live our best life.  Do our best work. 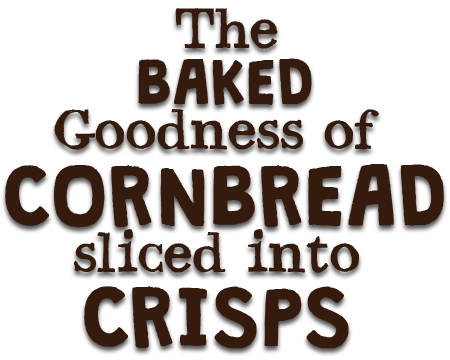 So, that’s why we make delicious, hearty snacks that fill you up and taste great. Plus, our ingredients are from American Farms because we know how important farming is to America. Hungry? 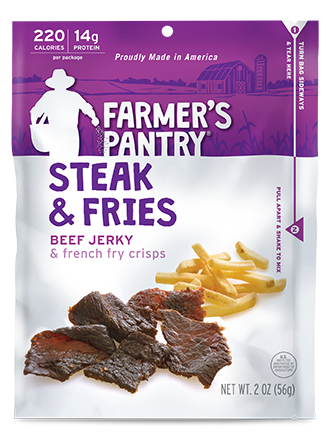 Power up with Farmer's Pantry Jerky Snacks! 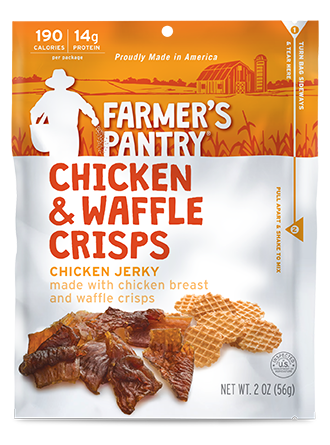 The only snack that combines tender jerky and a crunchy side into a delicious meal experience on-the-go! Inspired by some of America's favorite recipes, such as Steak & Fries, Chicken & Waffles, and Bacon & Cornbread. 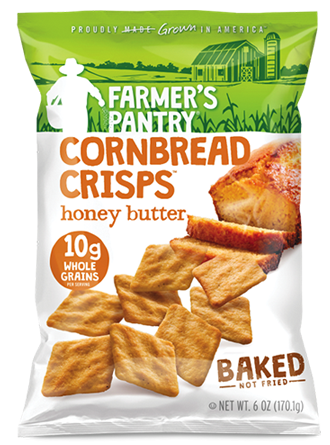 Farmer's Pantry Cornbread Crisps, the goodness of baked cornbread, delicately sliced, and toasted to crispy perfection. Always BAKED. Never fried. 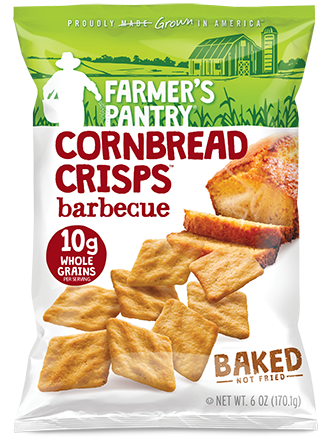 Great for munching right out of the bag, scooping up a favorite dip, or crumbling into a favorite recipe. You can find us at these amazing locations.